The transition from high school graduate to college or university freshman is a big leap. 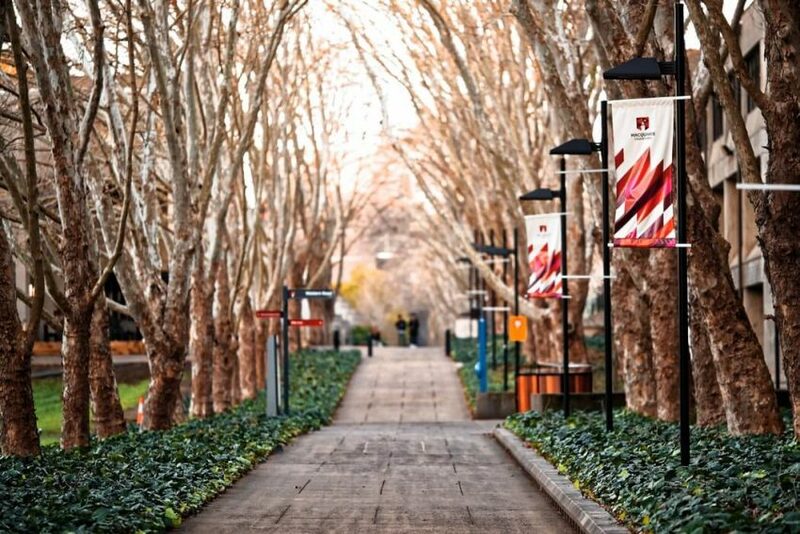 From living away from home for the first time to learning how to navigate the ins and outs of campus life – wading through the complexities of getting a first credit card can quickly fall off the priority list for many students. And while some students may choose not to apply for a credit card at all, others may be swayed into a particular card by a sales representative on campus. Neither of these are the best courses of action to take, as students should understand the benefits of using credit cards and compare all their options instead of being “sold” on a single card. Below, we shed light on the benefits of student credit cards and provide a breakdown of the best student credit cards in Canada for 2019. Note: While some of the cards on our list are not full-fledged student credit cards per say, all have no annual fees and minimal qualification requirements. The BMO SPC CashBack MasterCard is a straight-forward, no annual fee credit card that offers 1% cash back on all purchases. There is no income requirement (although you must be a Canadian resident and at least 18 years of age to qualify). Plus, as its name suggests, this card doubles as a Student Price Card (SPC Card) – which means university and college cardholders can use this card to get discounts at stores affiliated with the student loyalty program. Last but not least, the BMO SPC CashBack MasterCard has a welcome offer that lets you earn 5% cash back on everything for your first 3 months (up to $100). This credit card has the trio of features that most appeals to students: 1.) no annual fees 2.) the ability to earn rewards on everyday purchases, and 3.) no income requirement. Since this is a cash back credit card, students won’t have to think about the complexities or limitations of loyalty programs, and can instead get an injection of cash back on their credit card bill. This can be particularly valuable for students who want to focus on saving on their everyday purchases rather than racking up points for discounted flights. The card’s three-month welcome offer of 5% is strong, particularly for a no fee card geared towards students. The built-in SPC membership also makes it easy for students to double dip and save upwards of 15% at SPC-friendly stores without having to carry around a separate SPC Card. Along with a built-in SPC membership, this card offers purchase and extended warranty protections and access to select movie and concert events through BMO Extra Deals. If one of your favourite ways to destress from college or university life is to watch movies on the big screen, then the Scotiabank Scene Visa Card may be the right credit card for you. With this card, students can rack up SCENE points on all purchases (not just those made at Cineplex Cinemas) that can be redeemed for free movie tickets or snacks at any Cineplex location. This card has no annual fee and a low income requirement of $12,000 (ideal for those who are earning a student’s wage), but applicants must be residents of Canada and of legal age in their respective province. For student movie buffs, the Scotiabank Scene Visa Card can offer potentially more savings than a straight 1% cash back credit card. 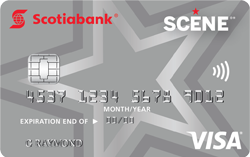 Here’s why: while a 1% cash back card will earn you $0.01 for every dollar you spend, the Scotiabank Scene Visa Card will give you 1 SCENE point – which we’ve calculated adds up to a slightly higher average value of $0.012 per dollar when redeemed for movie tickets. Not to mention, purchases made at Cineplex Cinemas using this card will get you a whopping 5 SCENE points. The card also has a 2,500 point welcome bonus after only $500 is spent on the card in the first 3 months, which is a low spending threshold to hit. Cineplex is the largest cinema chain in the country, owning and operating over 160 theatres in the country, and that means finding a theatre to use your points at is easy. SCENE points can also be redeemed at a handful of popular student restaurants including Swiss Chalet and East Side Mario’s. Cardholders can earn an additional 10% off the price of movie tickets on Tuesdays and up to 25% off car rentals at eligible AVIS and Budget locations. If the aforementioned BMO SPC CashBack MasterCard piqued your interest but you’re looking to invest in a points program instead of cash back, the BMO SPC AirMiles MasterCard may be more up your alley. This card offers 0.05 miles per dollar, charges no annual fee, and there’s no income requirement to qualify. 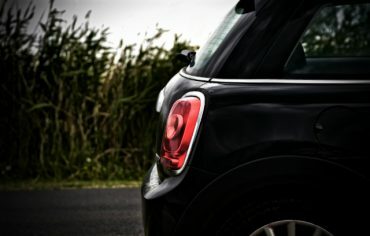 The card also features a two-stage welcome offer of 400 miles after you make your first purchase and an additional 400 when you spend $1,000 on the card in the first three months. The card also includes a build-in SPC membership. The miles earned on this card can be redeemed for either Dream Miles (which can be put towards free or discounted flights on select airlines) or Air Miles Cash (that you can redeemed for purchases at Air Miles partner stores). This card offers multiple opportunities to double dip rewards. For one, the included SPC membership offers instant discounts of up to 15% at hundreds of participating retailers on top of the miles you usually earn. Second, you can earn twice the miles on eligible purchases whenever you shop at retailers that are partnered with Air Miles – some of which include Rexall, Sobeys, Staples and more. While the Tangerine-Money Back Card isn’t a student credit card per say, it does offer plenty of features that appeals to most college and university students. This card charges no annual fees, has a low income requirement of $12,000 and offers the ability to earn cash back on everyday purchases. 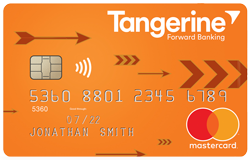 Tangerine-Money Back cardholders can get 2% cash back in two different “money-back” spending categories of their choice (there’s a range of categories to choose from including everything from groceries and restaurants to gas and hotels, and more). This card also offers 0.5% cash back on all other non-category purchases. It’s worth noting though, you may need at least some credit history in order to be approved for this card. The ability for cardholders to choose their bonus categories is a huge perk that is unique to this card. Combined with the fact that 2% cash back is one of the highest cash back rates of any no fee credit card on the market and it quickly becomes apparent how this card made it on our list of the best student credit cards in Canada. 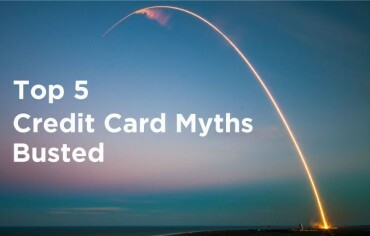 Plus, unlike most cash back cards, the Tangerine Money-Back Card will deduct your cash back rewards from your credit card statement every month instead of annually. Lastly (and arguably most importantly), cardholders can unlock a third 2% money-back category when they also open a Tangerine Savings-Account under their name. This savings account has a high return rate of 1.25% and no annual fee or minimum balance requirement, which can also help to incentive students to build their savings. With the PC Financial MasterCard, students will earn 25 PC Optimum points per dollar at Shoppers Drug Mart locations and 10 points on all other purchases (including those at non PC-affiliated stores). This card has no income requirement and no annual fee, however it’s not a full-fledged student card and therefore may require a credit history in order to be approved. PC Optimum points are redeemable at a rate of 10,000 points for $10, so if you spend a lot at Shoppers Drug Mart, you can reap significantly more value from the PC Financial MasterCard than you would with a flat 1% cash back card. PC Optimum points are also redeemable at over 2,500 stores associated with the PC Optimum program – from Shoppers Drug Mart and JoeFresh to popular grocery stores such as Loblaws and No Frills – so it won’t be difficult to put your card’s points to good use. If you’re a student who has racked up some debt or solely want to focus on building a credit history (rather than earning rewards) then the Home Trust Secured Visa could be an option worth considering. As a secured credit card, the Home Trust Secured Visa operates a little differently than the others on this list. You’ll put forward a deposit (minimum of $500) and use that as your card’s credit limit. By making purchases against your deposit and paying back what you owe on time every month, you’ll develop a good track record of paying off debt, in turn, developing a good credit history. There’s no income requirement and no annual fees. 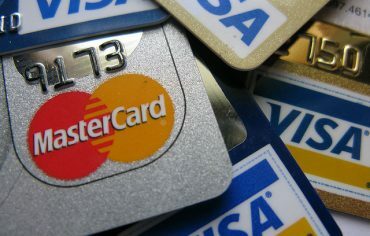 Since this card’s credit limit is tied to a deposit of the cardholder’s own money and can start as low as $500, it can help curtail bad habits related to overspending while also helping students develop a more conscious approach to using credit cards. 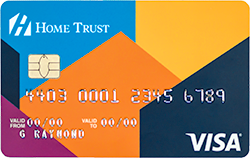 The Home Trust Secured Visa also accept applicants with bad credit histories, including those who have been bankrupt in the past, which can be a saving grace for students who have run into trouble and racked up debts on a previous credit card or other loans (not associated with OSAP) such as car loans or payday loans. Student credit cards often feature low (or no) income requirements, no annual fees and are geared to those who are applying for their first ever credit card and looking to establish a credit history. While many student credit cards don’t provide rewards, some of the best student credit cards in Canada do, offering students ability to rack up savings in the form of cash back or points. Why should a student consider getting a credit card? 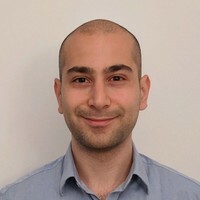 While the idea of a student credit card may raise concerns about debt and interest payments from apprehensive parents and students alike – the fact is a credit card is an easy and straightforward way of establishing a young adult’s credit history as he or she transitions into financial independence. By paying off a credit card bill in full every month, students can develop a track-record of making on-time payments, and in turn, a good credit score. A good credit score can have a profound impact on a person’s financial future and can make it far easier to get approved for everything from rental applications to loans with favourable interest rates. And when used responsibly (as in monthly statements are paid off on time and in full), credit cards can also be an effective way to save on everyday purchases through the earning of rewards. With that being said, missing payments or carrying over a balance can result in costly interest charges (which can be avoided if a bill is paid off in full) and a lower credit score, so it’s critical that students understand that credit cards should be used to buy things that can be paid for in full at the end of each billing cycle.